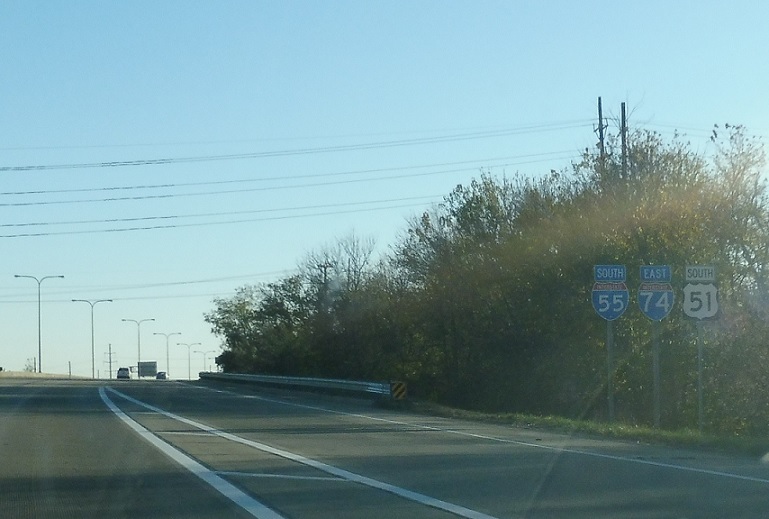 Reassurance shield after the US 150 interchange. 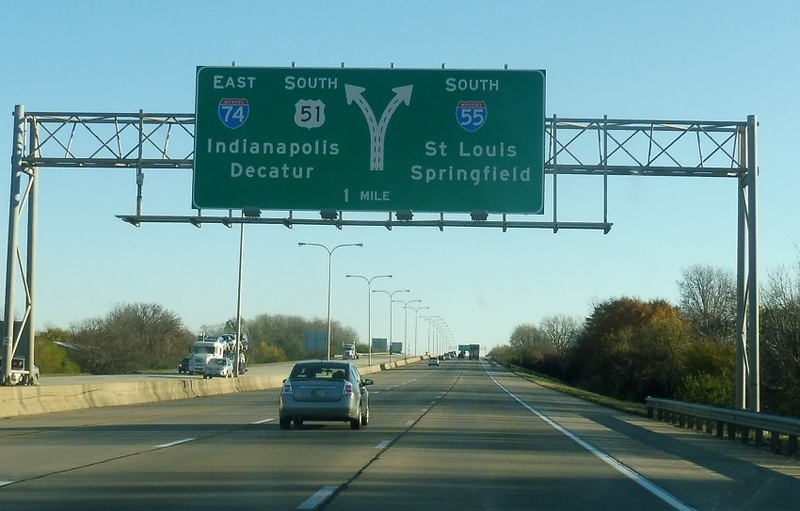 In two miles, I-74 will split with US 51 to continue east and south. 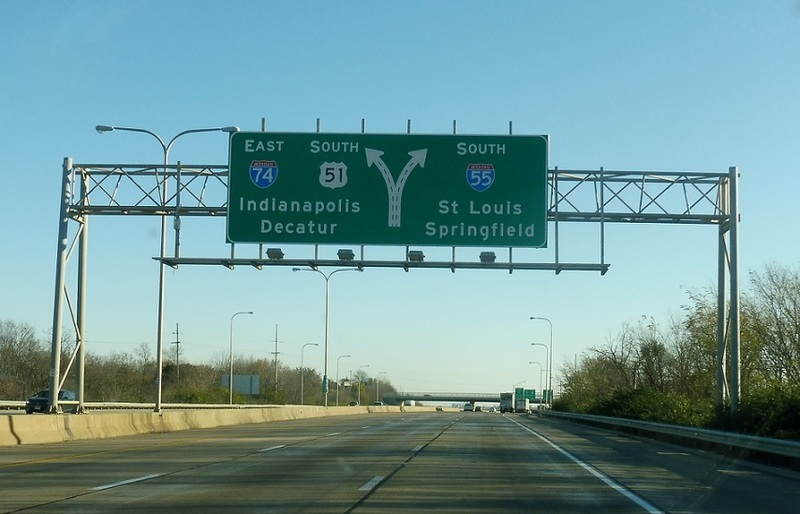 Follow 55 south to St. Louis, Mo. 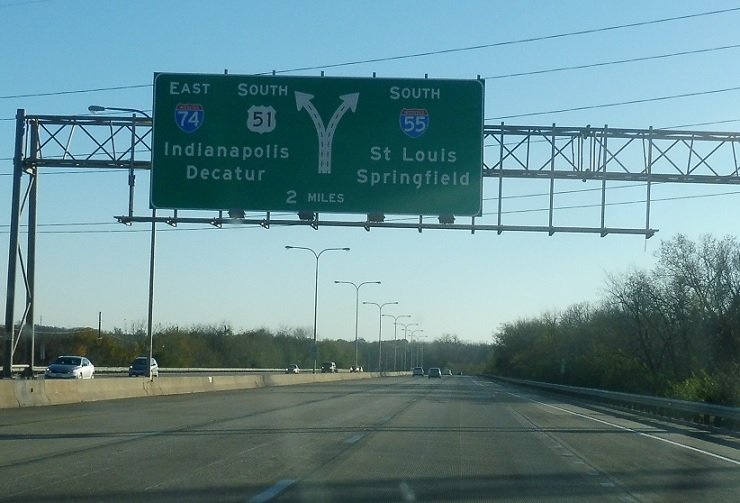 I-74 heads to Indianapolis, Ind. Keep left for 74 east/51 south and right for 55 south. 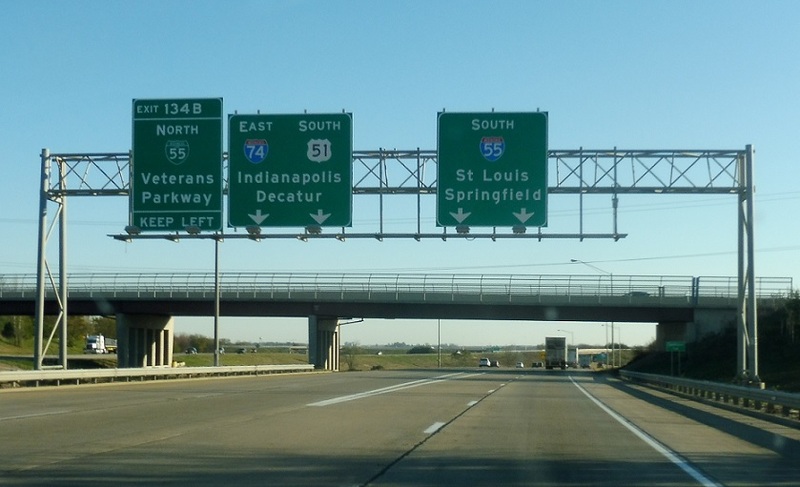 I-55 Business rejoins here as well.